Enjoy audiobooks, care for animals, and try your hand at Cribbage with today’s collection of apps and games. Change – Currency Converter ($0.99 → Free, 41.7 MB): Convert currencies in a snap with Change. Frequent travelers. Change adds a bit of a style to a normally dull app category. You’re able to choose the currencies you’re converting from and to by swiping across the fields at the top of the screen. As you swipe, you’ll see the conversions instantly performed. You’re also able to reorder, activate, and deactivate currencies by tapping on the “+” button at the bottom of the screen. Change includes a total of 85 currencies. 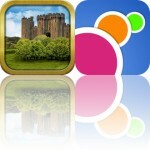 Change – Currency Converter is available for free for a limited time. It has a 4-star rating with a total of 68 ratings. 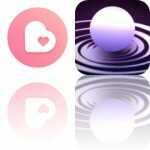 MP3 Audiobook Player SmartBook ($4.99 → Free, 50.3 MB): Enjoy audiobooks wherever you are with SmartBook. Those who don’t have time to read. SmartBook makes it easy to enjoy audiobooks on your iPhone or iPad. It provides access to 11,000 free downloadable books that can be searched through by title. You’re also able to import your own books via a computer browser or your favorite cloud service. It supports MP3, M4B, and M4A files. Audiobooks can be enjoyed at various playback speeds, and you’re even able to shorten silences to listen to them faster. SmartBook also includes a sleep timer and Siri shortcuts. MP3 Audiobook Player SmartBook is available for free for a limited time. It has a 4-star rating with a total of 23 ratings. Cribbage HD ($4.99 → Free, 86.7 MB): A digital version of Cribbage from the same team that brought you Hearts Tournament, Spite and Malice, and Gin Rummy. Those who want to play Cribbage anytime, anywhere. New to Cribbage? No problem. 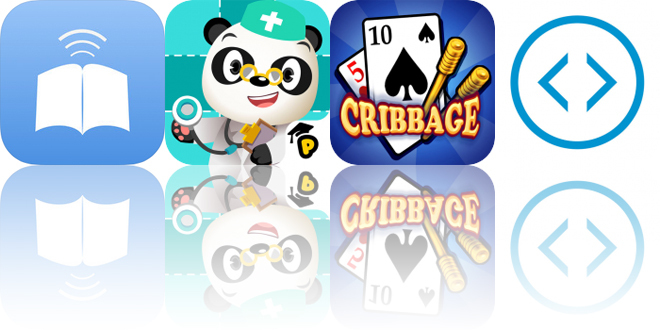 Cribbage HD helps you every single step of the way. You’re able to use hints to develop your skills and learn new strategies. If you’re unsure how a hand is scored, simply tap the “Explain” button for a breakdown. When you’ve mastered the basics you can take your skills online, compete locally against a friend, or challenge the AI. The game also includes voice chat, and the ability to personalize the cards. Cribbage HD is available for free for a limited time. It has a 4.5-star rating with a total of 5931 ratings. Dr. Panda Hospital ($2.99 → Free, 549.3 MB): Run your very own animal hospital in Dr. Panda Hospital. Parents and teachers. Dr. Panda Hospital allows your child to play doctor or vet. They’re tasked with tending to eight friendly animal patients with different ailments. The 10 medical activities will teach your child about procedures, doctor’s tools, and sequencing. Special rewards will be unlocked along the way, providing even more items to discover and ways to play. Dr. Panda Hospital is available for free for a limited time. It has a 4-star rating with a total of 396 ratings.